In Michigan, fall is the time of year where the weather starts to finally cool off. Everyone is enjoying beautifully-painted trees and trips to the cider mills. Though there are many fantastic experiences that come with the change of seasons, there are a few things we would prefer to do without, namely the flu. 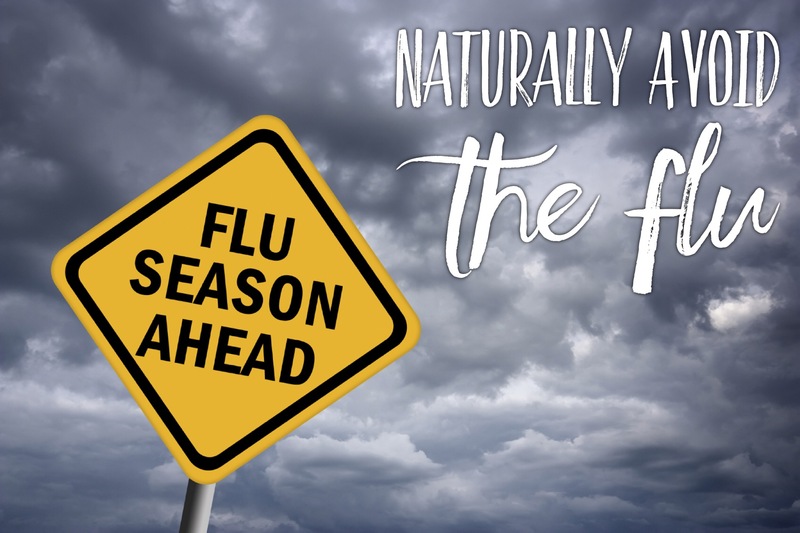 Now that the cooler climate is here along with cloud-covered skies, we have the returning threat of seasonal illnesses like the cold and flu. In the United States alone, the CDC estimates that more than 200,000 people are hospitalized each year with the flu or with flu-related complications. More than 36,000 people die. I think we can all agree that nobody enjoys getting the cold or flu. But what I am going to do is share with you is the most effective way to naturally beat this seasonal illness. Let’s look closely at this “seasonal illness” and try to make sense of the flu. Have you ever wondered why a seasonal illness exists? Have you ever wondered why viruses and bacteria would only attack during the fall and winter months? The truth is that they don’t. We are exposed to viruses and bacteria every day of our lives. The thing that determines if we get sick or stay well isn’t the presence of bacteria or viruses, but rather the state of our immune system. It so happens that the flu season is also vitamin D deficiency season. Although most often categorized as a vitamin, vitamin D is actually a hormone. Vitamins cannot be produced by the cells in your body, therefore they must be consumed through a balanced diet. Vitamin D can be made by the cells in your body in a process that involves the conversion of cholesterol derivatives into vitamin D using sunlight. Vitamin D3 is produced in the skin through exposure to ultraviolet B light. Vitamin D3 only becomes biologically active after two conversions; one in the liver (primarily) to 25-hydroxyvitamin D(25 OHD), the circulating form of vitamin D, and finally through the kidney to 1,25-dihydroxyvitamin D (1,25 (OH)2D), this biologically active hormone is known as calcitriol. Calcitriol or biologically active vitamin D is considered one of the most potent steroid hormones in human physiology. Vitamin D plays many roles in the body. It is required to activate the immune system; it up-regulates the genetic expression of effectors that are used to attack viruses, bacteria and other antigens or invaders. Vitamin D does not only play a vital role in immune function, but is also essential for the control of insulin sensitivity, blood pressure, inflammation, and blood coagulation and this is why Vitamin D deficiency is a significant causal factor in cancer, heart disease, multiple sclerosis, autism, asthma, and diabetes. So why do we get the flu during the winter seasons? The fact is that even during the summer when the sun is shining bright, we spend too much time indoors. Many people find themselves lathering up with sun screen when they finally get the chance to catch some rays. In today’s modern society, we no longer provide our bodies with the genetically required nutrients necessary, ie. the sun and subsequently vitamin D.
During the winter months, we hide indoors to stay warm and simply do not get enough sun exposure. This ultimately leads to a vitamin D deficiency. This deficiency leads to reduced immune function, making us more susceptible to colds and flus. Here is some compelling evidence that offers 100% certainty that vitamin D will protect you from the flu. In a 1991 study, ALL subjects were exposed to the cold virus but only those who were “stressed” developed a cold! Cohen, S. et al. Psychological stress and susceptibility to the common cold. N. Engl. J Med 1991 Aug 29; 325 (9); 606-612. Vitamin D dramatically increases the expression of antimicrobial proteins (AMPs) in cells of the innate immune system (the part of the immune system that immediately attacks and kills viruses, bacteria, and fungi). Heaney, R. Vitamin D in health and disease. Clin J Am Soc Neph. 2008. Vol 3(5):1535-1541. Countries with the highest blood levels of vitamin D from supplementation have the lowest incidence of seasonal cold and u and half the winter mortality rates. Cannell, J. et al. Epidemic in uenza and vitamin D. Epidemiol Infect 2006, 134(6):1129-1140. A randomized, double blind, placebo-controlled study reported that children taking Vitamin D3 daily in winter were 67% less likely to get influenza (H1N1 varieties). Urashima, et al. Randomized trial of vitamin D supplementation to prevent seasonal infuenza in schoolchildren. Am J Clin Nutr. May 2010. Vol 91(5):1255-60. In a three year trial, supplementing with vitamin D reduced the incidence of colds and flu by 70%. After two years they increased the amount of vitamin D intake and reached nearly a 100% prevention rate for colds and u (only 1 of 104 subjects developed cold or flu final year). Aloia, J et al. Epidemic in uenza and vitamin D. Epidemiology and Infection. 2007. Vol 135(7):1095-1098. On the basis of studies reviewed to date, the strongest evidence supports vitamin D therapy for influenza and viral upper respiratory tract illnesses (colds). Yamshchikov, A et al. Vitamin D for treatment and prevention of infectious diseases: a systematic review of randomized controlled trials. Endocrine Practice. 2009. Vol 15(5):438-449. Now you know how to scientifically avoid the cold and flu. So for just a few pennies a day and a few short seconds you can steer clear of sickness this winter. The one last anti-flu solution I can offer you is to reduce physical stress. Research shows that physical stressors like poor posture, poor spinal structure and spinal shifts also increase stress hormones, which can down regulate immune function. Research also shows that Neuro-Structural Chiropractic Care can lower stress hormone levels and increase immune function. This is why patients under Neuro-Structural Chiropractic Care experience less illness, fewer aches and pains, and a higher quality of life. © 2015 Eximius Chiropractic. All Rights Reserved.